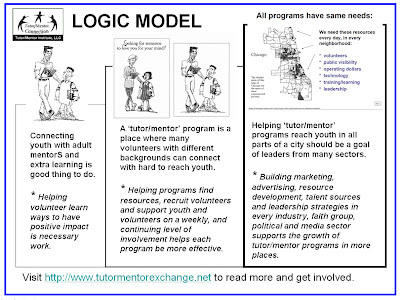 Tutor Mentor Institute, LLC: What Am I doing? Why Do I Keep Trying? 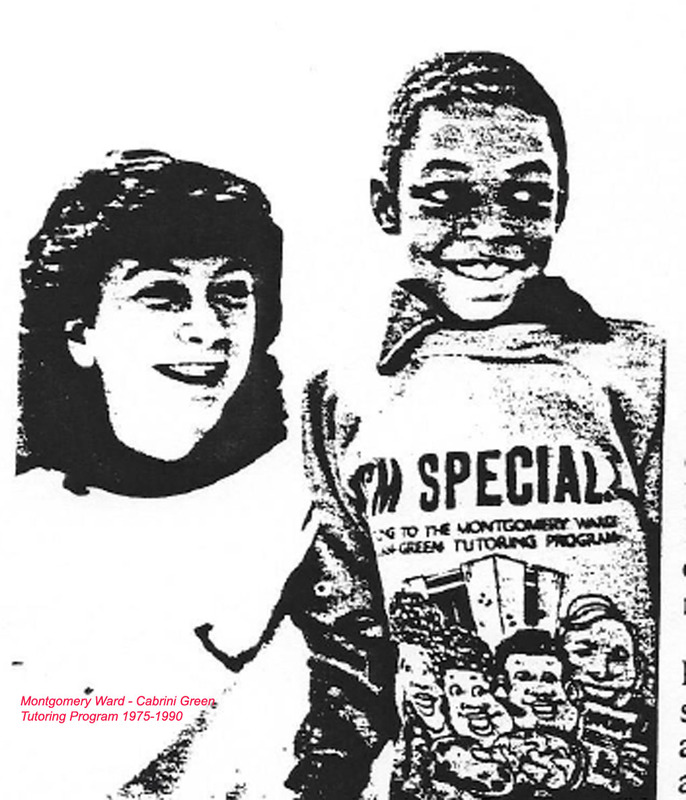 When we first launched the Cabrini Connections tutor/mentor program in November 1992, and the Tutor/Mentor Connection in January 1993, we had no money and no deep pocketed friends. 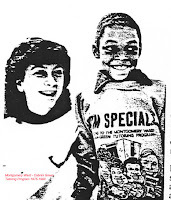 We just had a 20-year history of connecting workplace volunteers and inner-city kids in organized non-school tutor/mentor programs, and a firm belief that this was a "good thing to do". 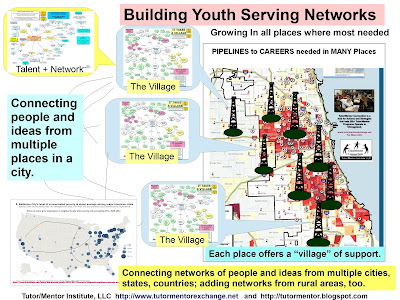 While leading a single program at the Montgomery Ward Headquarters in Chicago from 1975-1990 I built an understanding of how important it is to be able to connect and learn from others, and a realization that without someone maintaining a master database of programs, it was not only difficult to invite people to connect and learn from each other, but for city leaders to build a sustained, long-term master plan, that would make high quality, mentor-rich programs available in all high poverty areas of Chicago and its suburbs. Not having a committed source of revenue makes it difficult to do this work. While I raised over $6 million from 1993 to 2011, I started from zero every year and constantly had to find new donors to replace those who stopped giving. I had to put nearly $100k of my own money into this effort, and never was paid as much as I had been earning in 1990 when I left my retail advertising job at Montgomery Wards. The financial meltdowns between 2000 and 2010 had a negative impact on my personal finances, as well as my ability to raise the money needed for the work I was doing. Thus, over the years I've had to occasionally remind myself why I do this. Since I'm at a low period, both in terms of confidence, and revenue, that's what I'm doing now. The image below shows the progression of my thinking. I have gone through this over, and over, for more than 20 years. The first panel says "connecting a youth and non-family adult in a supportive relationship is a good thing." If you don't agree with that then you don't need to read any further. 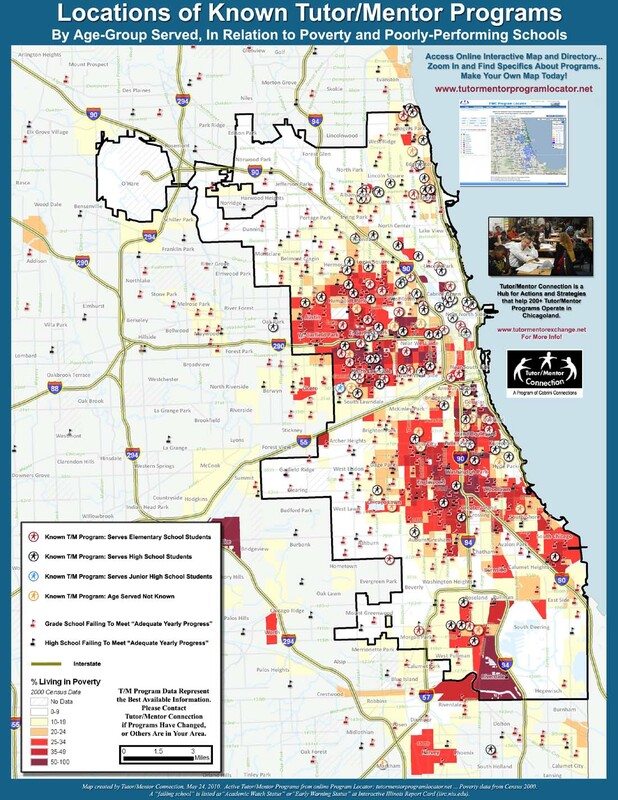 The second panel says that in big cities like Chicago, where poverty is measured by miles and the number of kids in poverty numbers over 200,000, organized non-school programs are needed to enable volunteers from many different backgrounds to connect, and stay connected, to kids for multiple years. Some of the programs themselves become anchors in the lives of kids, offering safe places and a community of supportive adults and learning activities beyond what a single mentor might offer. I've been building a list of organizations that provide various forms of tutoring and/or mentoring in Chicago, which you can find here. If you agree that organized programs are needed, then the next progression is to think of ways to make high-quality, mentor-rich programs available in every high poverty neighborhood for kids as early as first grade and as old as age 16 to 26. While non-profit organizations compete with each other for limited resources, making it difficult for more than a few really great programs to operate in the city, businesses use sophisticated corporate office strategies to support the growth of retail stores reaching customers in multiple locations. I've been trying to apply that thinking to my leadership of the Tutor/Mentor Connection since 1993. This is evidence that what I write today is something I've been trying to build support for over many long years. 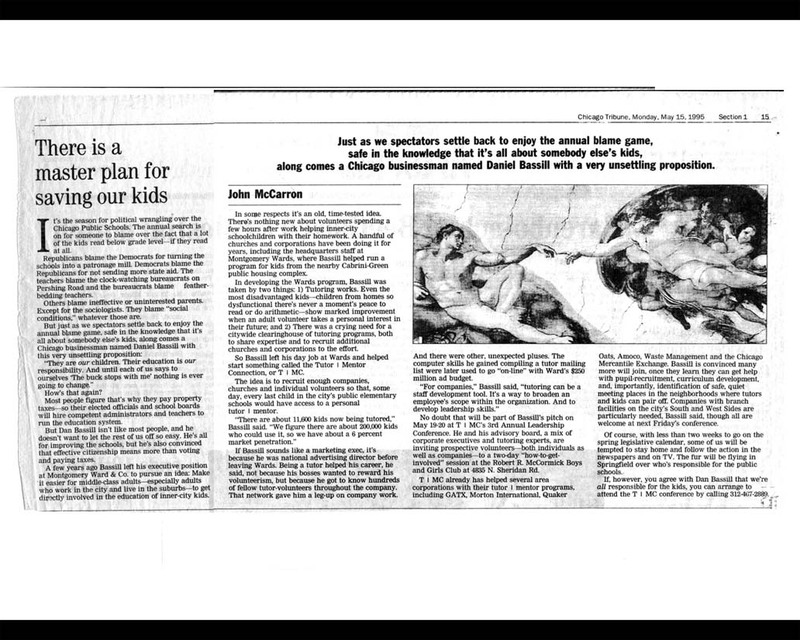 Below is a presentation I created in 1998, showing the strategy I was sharing with city business, political and philanthropic leaders then, and which I now share with leaders in cities across the country. This graphic is one of many that I've created to communicate ideas and strategy. If you look at the top of the pyramid, it shows we all want kids to "finish school, graduate, stay safe in non-school hours". I believe that the work at the bottom of this pyramid, which I've been doing for over 20 years, is essential for making that happen. I still don't find others who incorporate this four-part strategy or this learning network strategy in their own efforts. That makes me believe what I do is still needed. 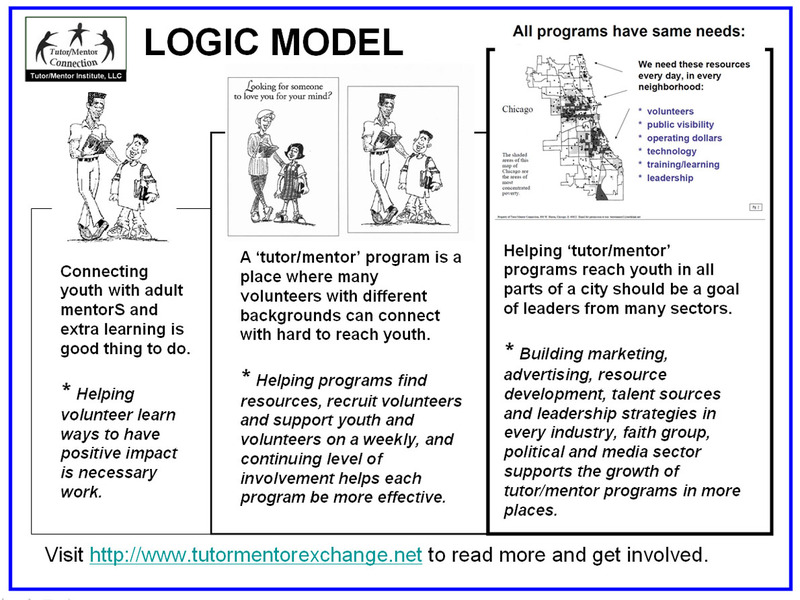 Every article on this blog, and each section of the Tutor/Mentor Institute, LLC web site are active parts of this strategy, and each is an example. However, so much information also represents a weakness. Too much information and too little time for busy people to try to understand it is a problem. 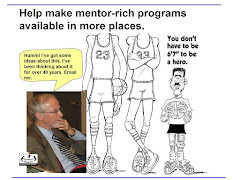 Too few dollars, or talent, to create new web sites, or fix things that are broken, or out of date, like the Chicago Tutor/Mentor Program Locator, make it more difficult to demonstrate what I'm trying to do. This is something you need to take some time to read and understand. 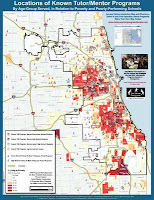 Even though I'm at low point now, I still believe Chicago and other cities needs someone doing what I'm doing, but from a much stronger organizational base, such as a stand-alone Institute and think tank, or as a college-based Institute funded by one of those people who I seek continually donating $25 to $100 million to various universities. In fact, I think there needs to be someone doing this work in every major city where poverty and inequality can be plotted on maps and where leaders can mobilize people and resources to fill map-areas with needed programs and services. I've a library of ideas that others could use and I'm hopeful I can become part of your planning teams if you want to take on this role. You don't need to start from scratch if you take some time to investigate and get to know what I've been doing. I'm not certain how many more years I can sustain this work, but I'm confident that I need to keep trying. If you want to help, please introduce yourself or email me at tutormentgor2 at earthlink dot net.